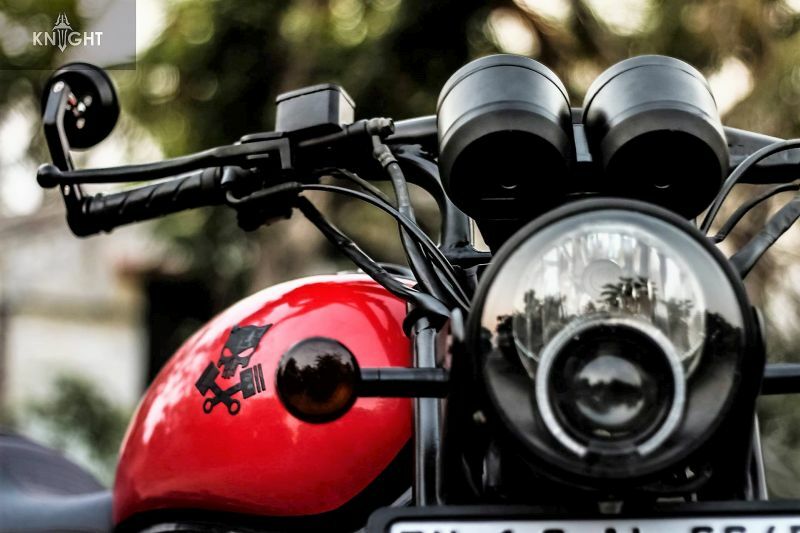 Royal Enfield Thunderbird series is definitely the most feature loaded motorcycles available in the company lineup. 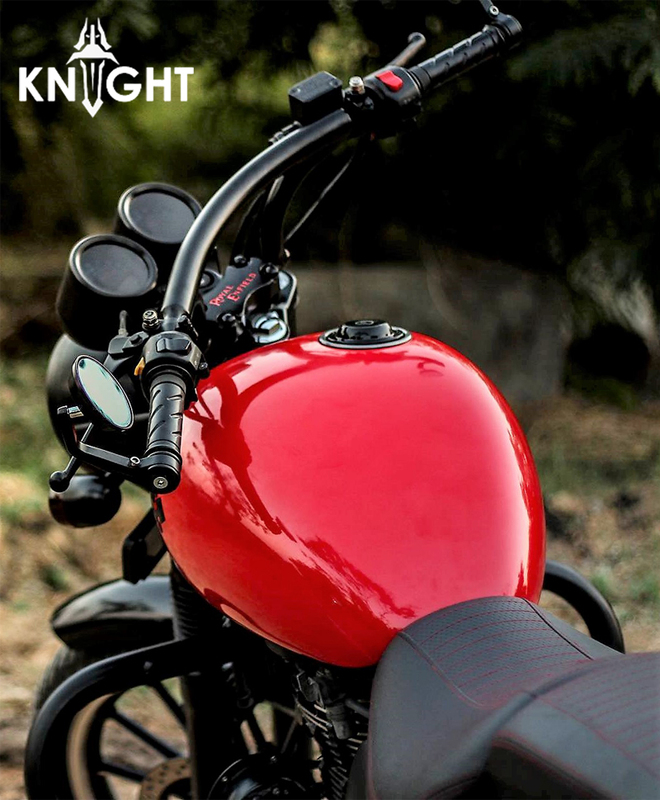 Knight Auto Customizer recently wrapped one such example in Gloss Red and Satin Black, improving the visual appeal of the motorcycle by multiple times with the most satisfying update. This one looks quite different from the stock unit as it replaces most shiny parts with Black ones. 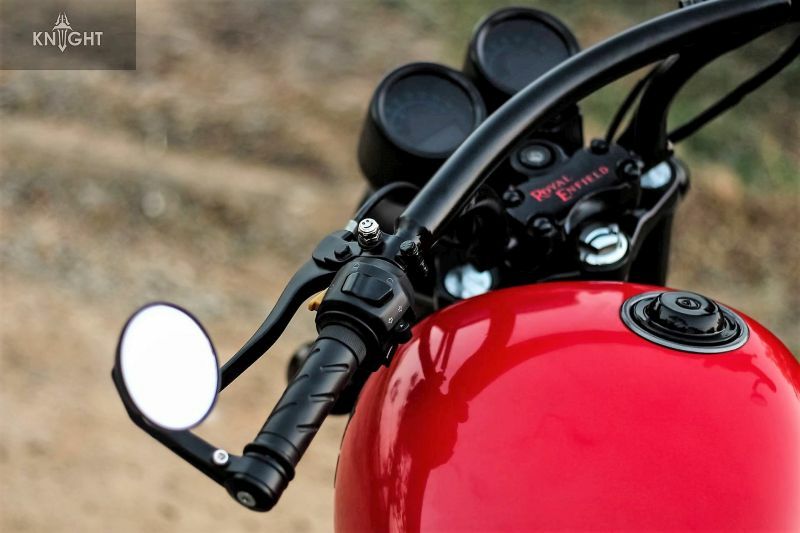 The high handlebar position on the Thunderbird makes it one of the most relaxed riding machine in the Indian market. The stock handlebar gets replaced with an even wider Black handlebar. 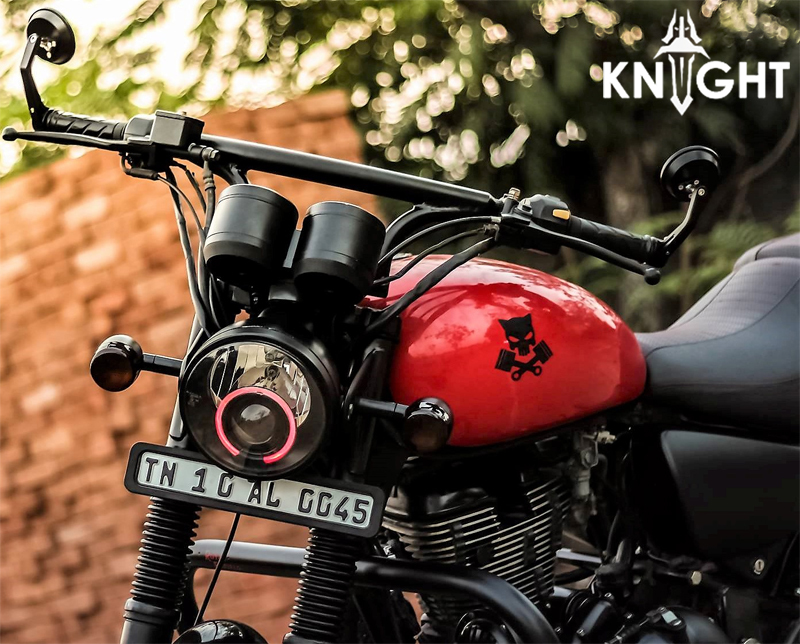 The spoke wheels on both the ends are replaced with Black multi spoke alloy wheels while the front looks more aggressive with Red angle eye around the projector headlight. 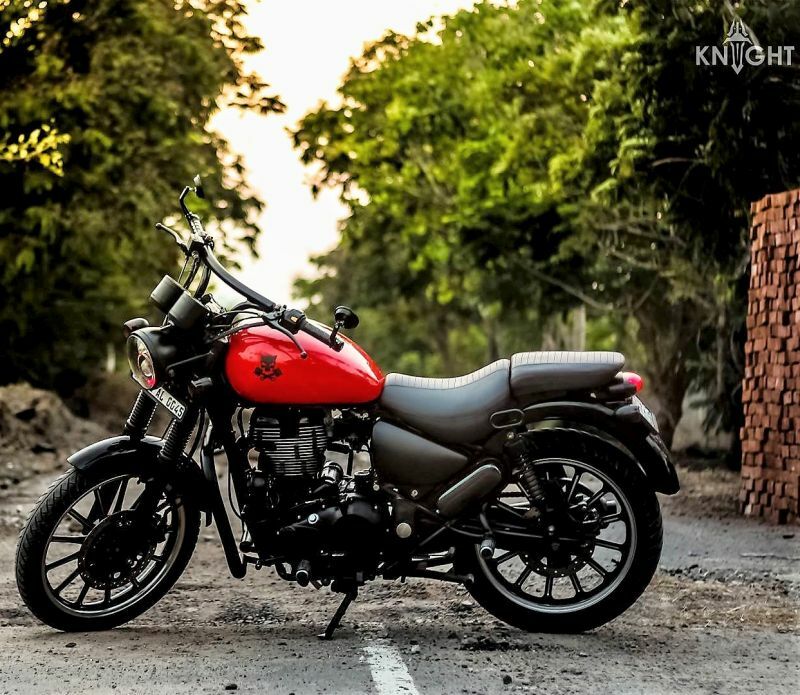 The rear backrest has been removed for a casual street cruiser feel. Knight Auto Customizer has added bar end rear view mirrors to improve the overall equipment list of the Thunderbird. 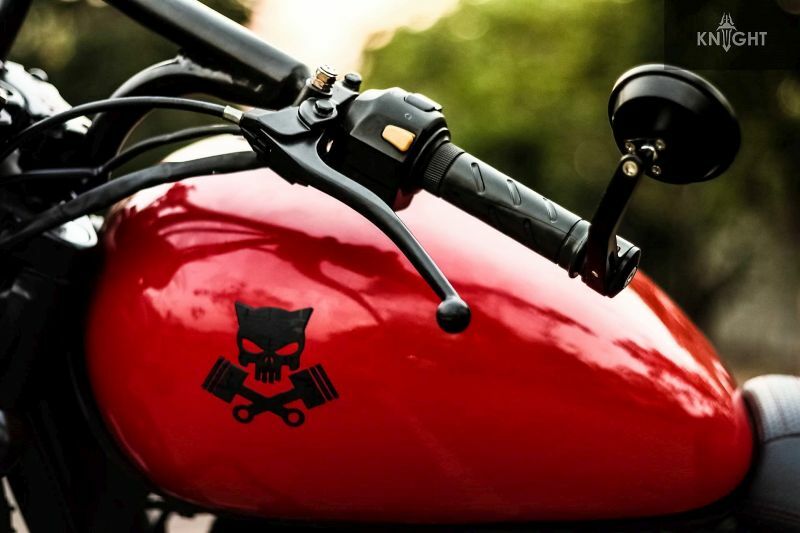 This customization can be done on both the 350 and 500cc variant of the motorcycle. 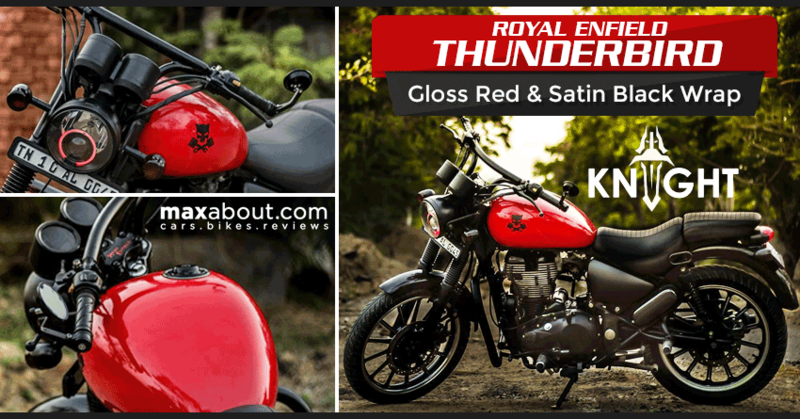 Thunderbird 350 is powered by a 346 cc, air cooled engine producing 19.8 BHP at 5250 rpm and 28 NM at 4000 rpm. It comes mated to a 5-speed gearbox and weighs 195 kg. The 499 cc variant comes with fuel injection, producing 27.2 BHP and 41.4 Nm of torque. 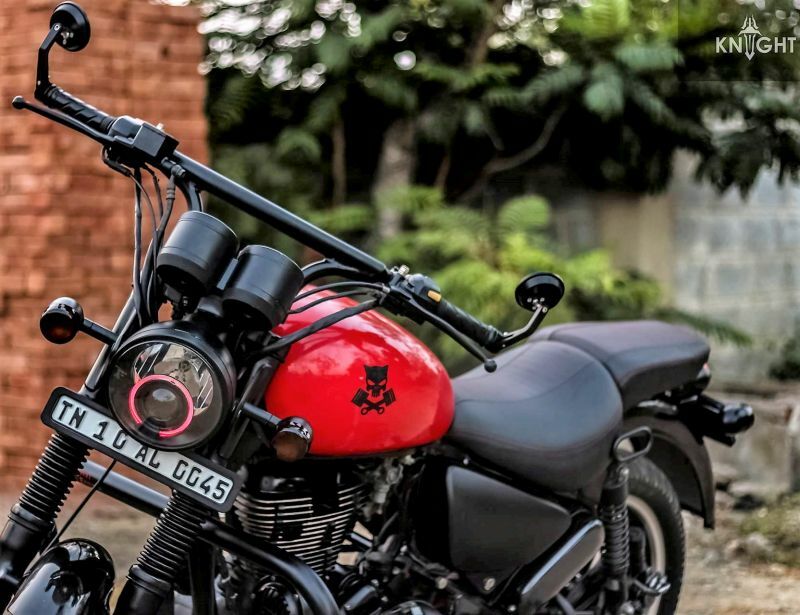 Thunderbird series comes with front projector headlight, thicker front forks, 20 liter fuel tank, advanced instrument console with fuel gauge, speedometer and tachometer. The low seat height of 775 mm makes it easy to ride for average built riders. Address: #198, Village High Road, Behind Punjab National Bank, Sholinganallur, Chennai- 600 119.